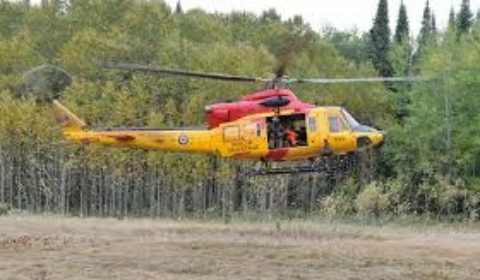 NORTH KAWARTHA TOWNSHIP — A female camper suffered serious but non-life-threatening burn injuries while refueling a cook stove Monday and had to be airlifted to hospital. A JRCC helicopter was called in the lift the burn victim out because there accident site was not accessible by road. The female suffered burns to her body while a cooking stove was being refueled. The Joint Rescue Coordination Center Trenton (JRCC) assisted with extracting the injured female as the area is not accessible by roadway. She was assessed by paramedics who arrived by water and transported to hospital for treatment. She was transferred to a trauma center for further treatment.